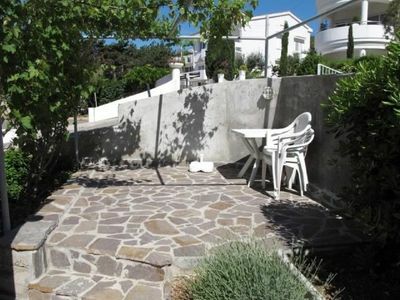 A paved stone terrace, which is adorned with flowers, decorated the entrance of the property with two apartments on the ground floor. 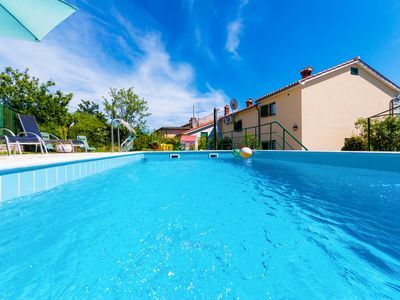 The warmly decorated interior of the large apartment for 5 people is fully equipped to make guests feel welcome - the bathroom is equipped with a washing machine. 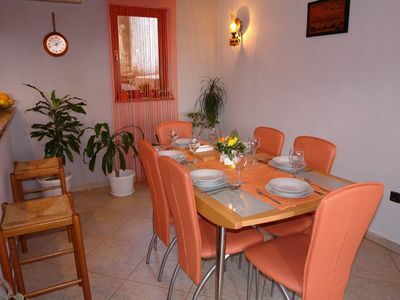 The bedrooms are comfortably furnished and feature parquet floors. 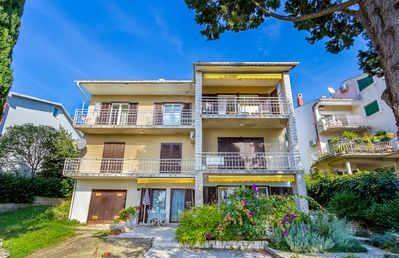 The smaller apartment consists of one bedroom with two single beds and a double bed in the living room. 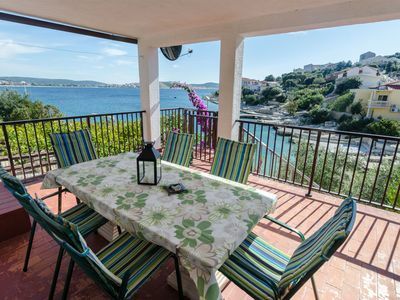 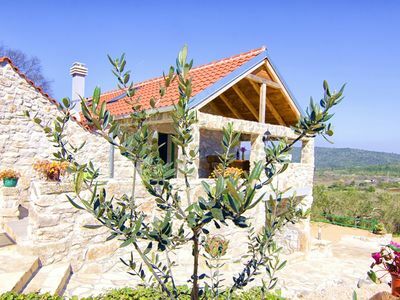 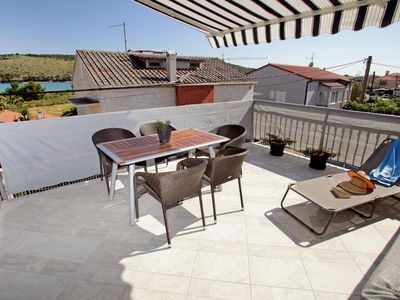 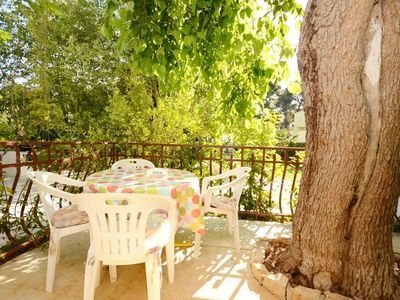 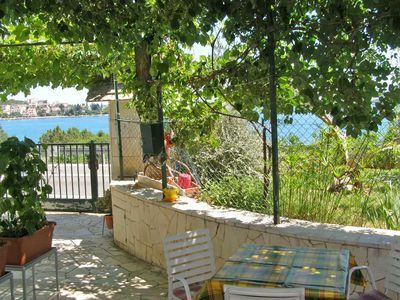 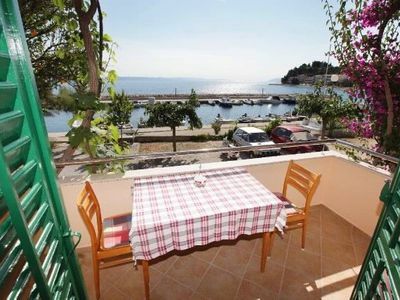 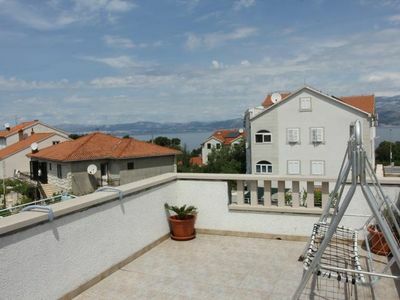 Guests of both apartments are furnished terrace and a car park. 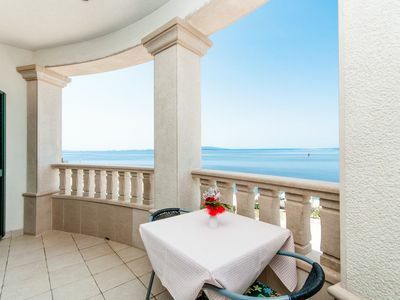 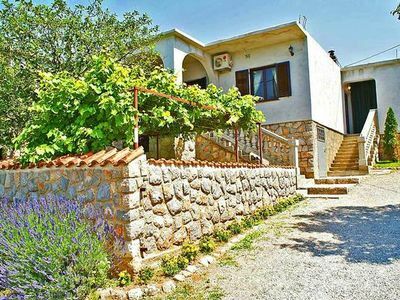 From the house to the beach is 50 meters and the distance to the center is 3 km. 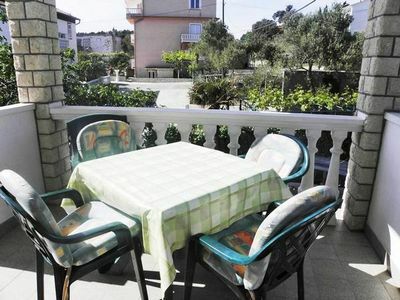 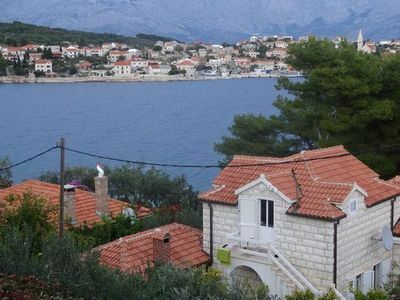 The nearest one grocery store is located 200 meters from the holiday home. 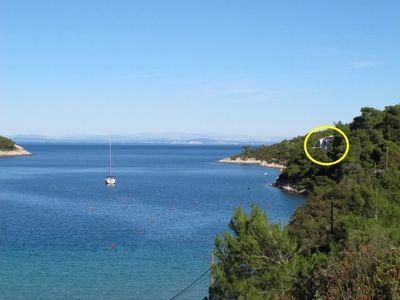 In 200 meters the surrounding Restaurant can be reached.